Using the Event Horizon Telescope, a planet-scale array of eight ground-based radio telescopes forged through international collaboration, scientists obtained an image of a black hole at the center of galaxy M87, outlined by emission from hot gas swirling around it under the influence of strong gravity near its event horizon. 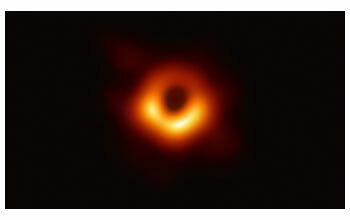 On April 10, 2019, in coordinated press conferences across the globe, Event Horizon Telescope (EHT) researchers revealed that they have succeeded in capturing an image of a supermassive black hole and its shadow, the first direct visual evidence of their existence. 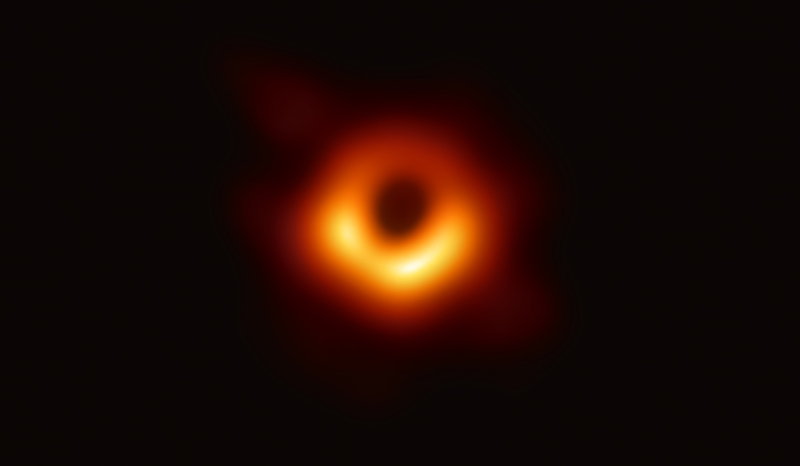 The image reveals the black hole at the center of Messier 87, a massive galaxy in the nearby Virgo galaxy cluster. This black hole resides 55 million light-years from Earth and has a mass 6.5-billion times that of the sun. "This is a huge day in astrophysics," said National Science Foundation (NSF) Director France C�rdova. "We're seeing the unseeable. Black holes have sparked imaginations for decades. They have exotic properties and are mysterious to us. Yet, with more observations like this one they are yielding their secrets. This is why NSF exists. We enable scientists and engineers to illuminate the unknown, to reveal the subtle and complex majesty of our universe." NSF played a pivotal role in this discovery by funding individual investigators, interdisciplinary scientific teams and radio astronomy research facilities since the inception of EHT. Over the last two decades, NSF has directly funded more than $28 million in EHT research, the largest commitment of resources for the project.